This table is the perfect combination of the modern, contemporary and Scandi style. Versatile and versatile design that can easily be used as a bedside table in the bedroom or a side table in the living room. Low bedside/side table with 1 drawer. 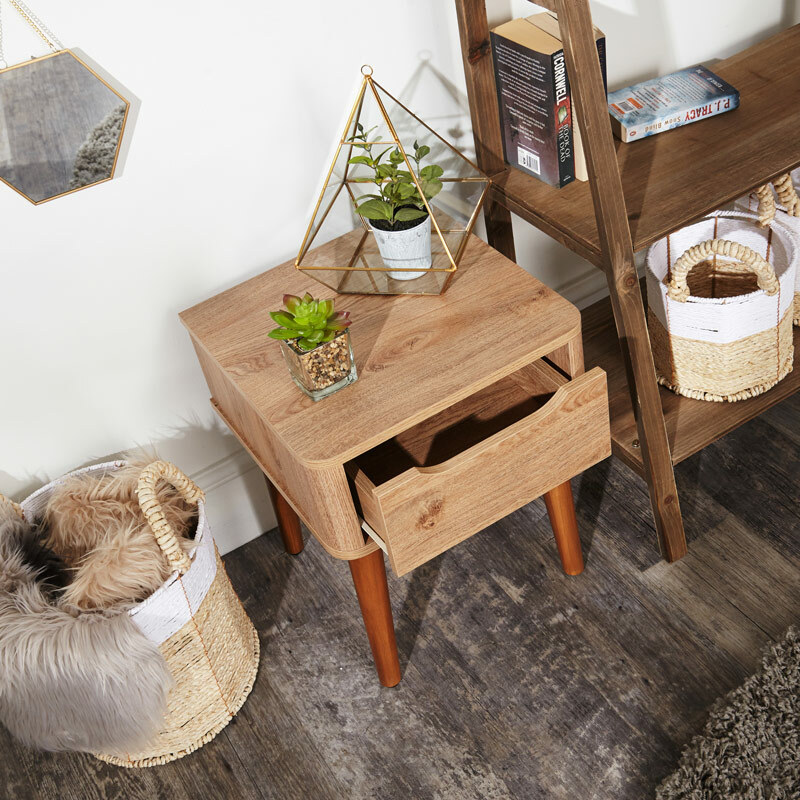 This table will look great in a modern, loft living styled living room or bedroom with 1 drawer on metal runners for a great storage solution. Great as a standalone piece or in pairs for the perfect look for your living room or bedroom. 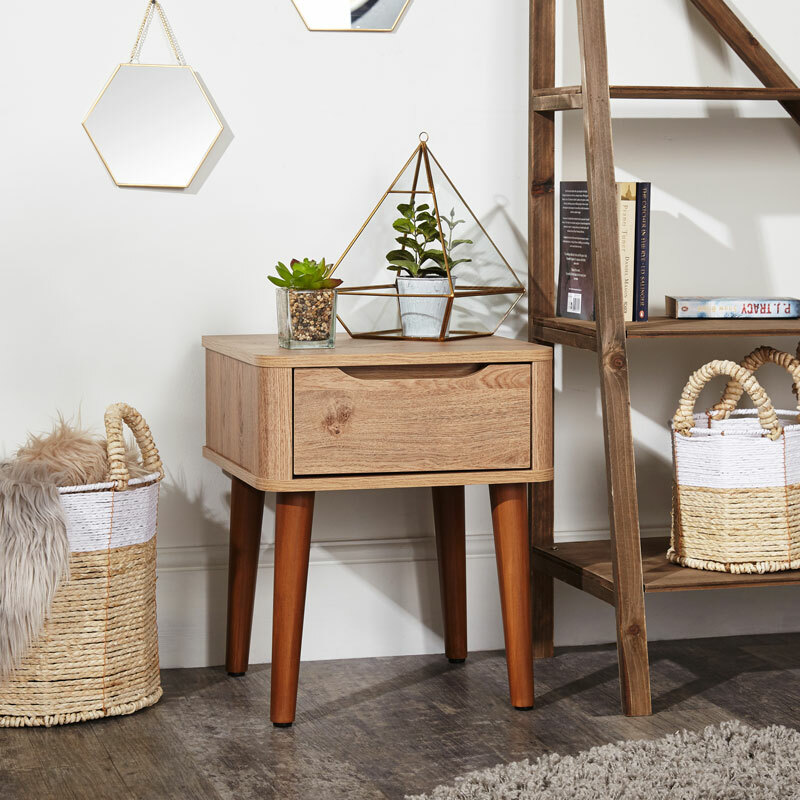 This table is the perfect combination of the modern, contemporary and Scandi style. Versatile and versatile design that can easily be used as a bedside table in the bedroom or a side table in the living room. Low bedside/side table with 1 drawer. 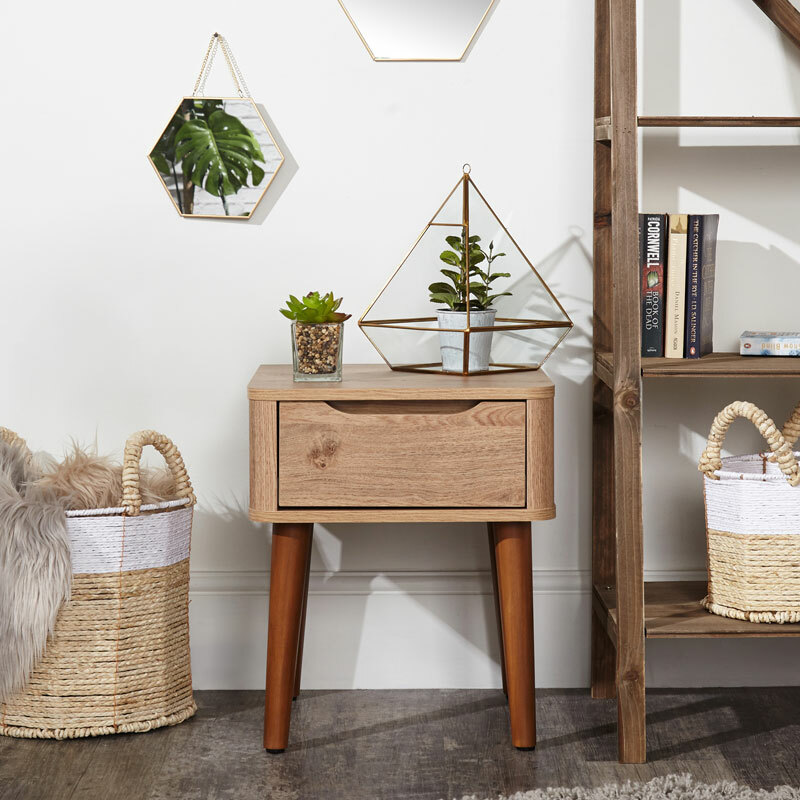 This table will look great in a modern, loft living styled living room or bedroom with 1 drawer on metal runners for a great storage solution. Great as a standalone piece or in pairs for the perfect look for your living room or bedroom. Made from wood in a brown finish with natural wood effect. The bedside does come flat packed so will require assembly with all the fixings and instructions included.